Our ladders made from composite materials are designed to suit the specific environment of each industrial facility according to our customers’ needs and expectations, while complying with the relevant standards in force. 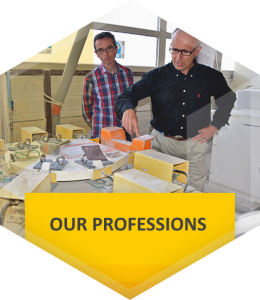 Idréva proposes a range of ladders in composite materials that meet the constraints of water treatment. 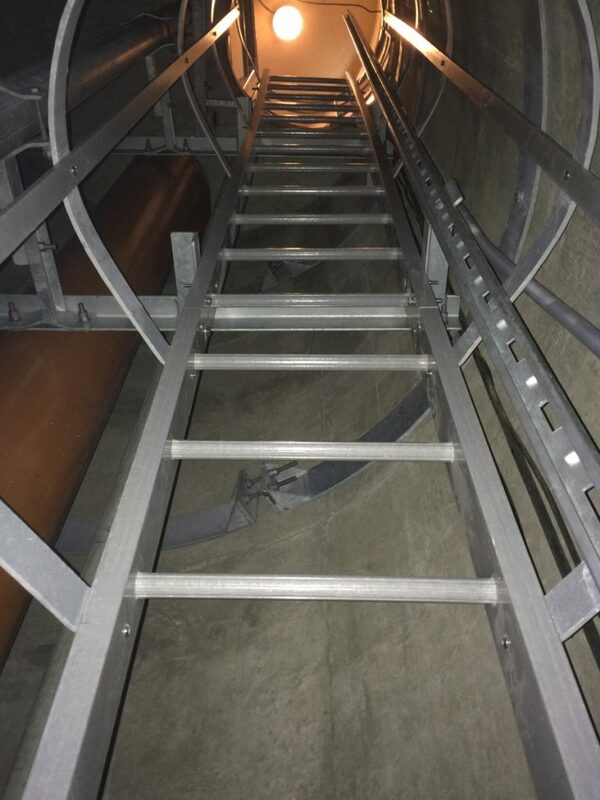 Our composite safety ladders meet all the standards and regulations in force, guaranteeing their quality and reliability, because safety and customer satisfaction are our foremost priorities. 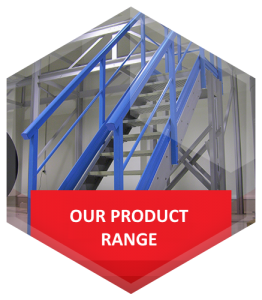 Our ladders offer great versatility: we provide many accessories that ensure the ladders can be easily adapted to the existing environments and all your technical constraints. 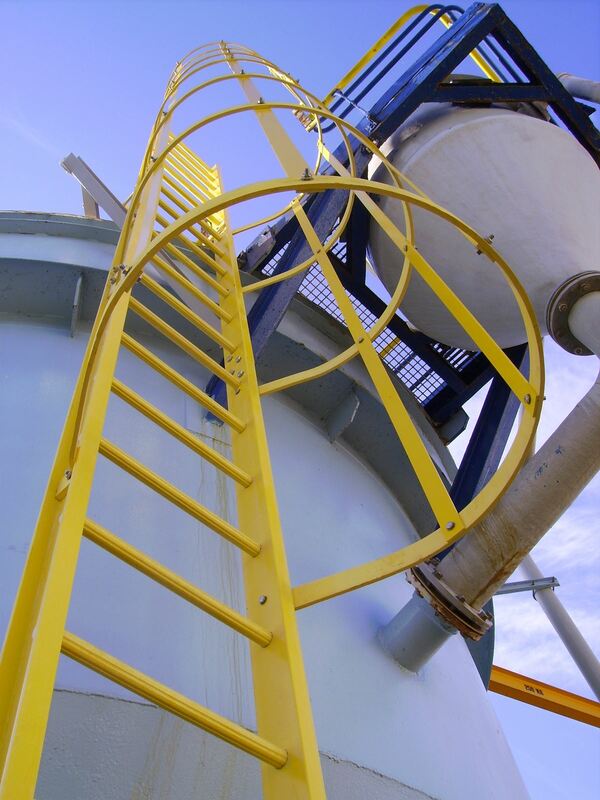 In addition, we manufacture our ladders using a resin that has a French public health compliance certificate: this means our ladders are certified for installation in water towers. 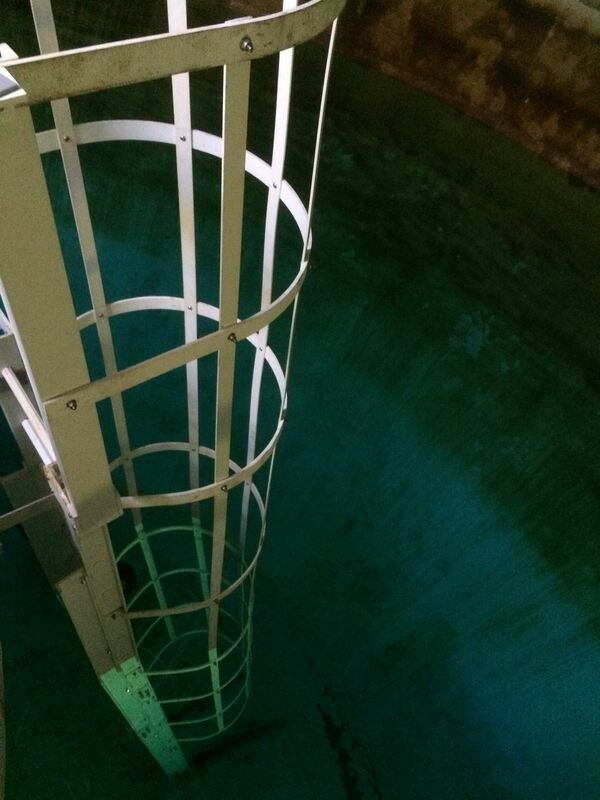 The objective is to avoid contaminating drinking water and to ensure it is not affected by contact with the ladder, regardless how long the contact may last. The composite material used to make our ladders plays an essential role in this case. The composite makes them insensitive to all types of corrosion, due to chemicals or weather conditions. Consequently, our ladders do not require any specific maintenance. 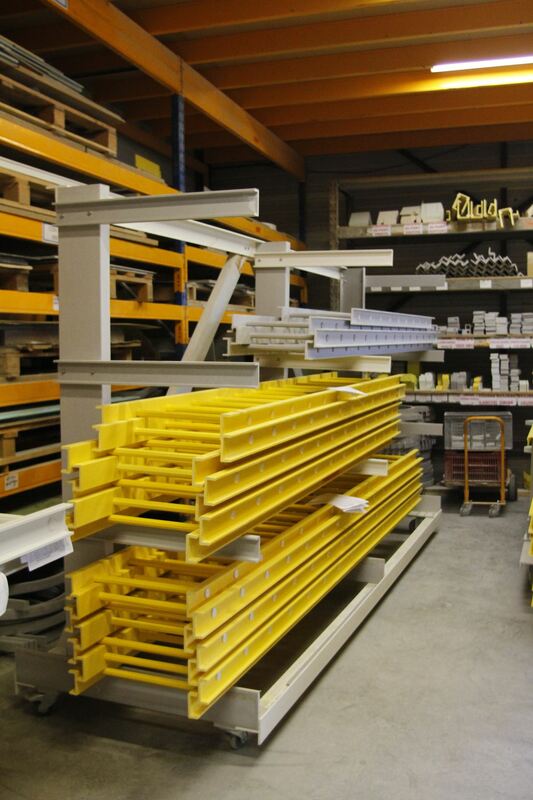 Idréva ladders are tailor-made to our customers’ needs and manufactured in France. They comply with the NFE 85-016 standard, guaranteeing their quality and reliability. At Idréva, all the safety ladders are designed in pre-assembled modules; this facilitates transport and assembly on site, even for the most complex configurations. We deliver our ladders all over the world but our specialist teams only install our ladders in the northern and western sectors of France. 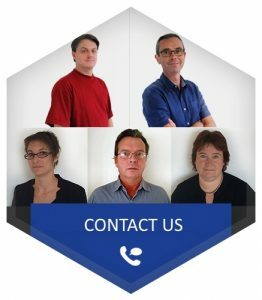 “Our aim is to provide our customers with products adapted to their different working environments by delivery them the benefits of our constant improvements and innovations"